We have undertaken numerous new build and major refurbishment projects for public buildings as well as those in numerous civic roles such as courts or council offices. 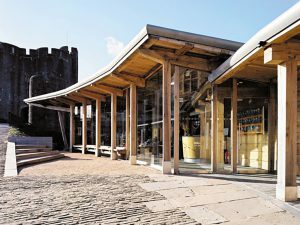 We are able to apply our expertise in new build, refurbishment and conservation to any construction project, and have experience with numerous schemes for newly extended and refurbished Crown and Magistrates’ Courts for the Department of Constitutional Affairs, namely at Brecon, Swansea, Barry and Merthyr Tydfil. Of more recent note is our involvement in a multi-phased refurbishment programme for the Guildhall in Swansea, where we have successfully completed our fifth phase of an ongoing refurbishment programme worth in excess of £20m, for the City & County of Swansea Council.